Heavy duty glass fitting pet door for cats and small toy dogs. 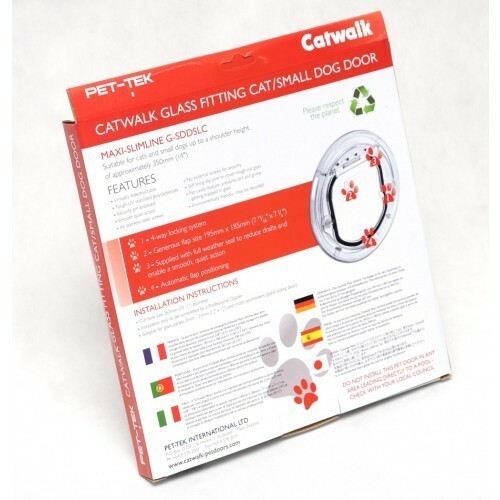 Uses same size cut-out as a Transcat cat door. Suitable for glass or wooden panels 4mm - 20mm thick. 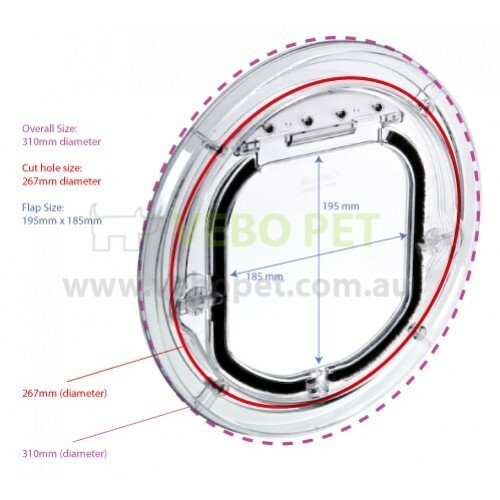 Installation into most ranch slider type doors is possible where there is a clearance of more than 10mm on the inside and 15mm on the outside of the sliding door. 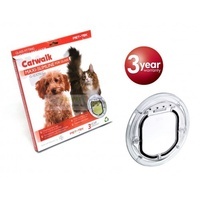 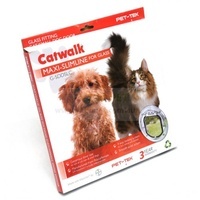 Catwalk suitable for cats and toy dogs with shoulder height up to 35m. 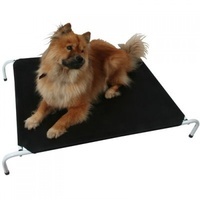 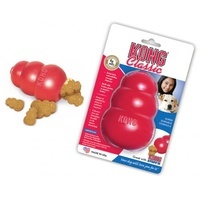 Dogwalk suitable for small to medium dogs with shoulder height up to 50cm. 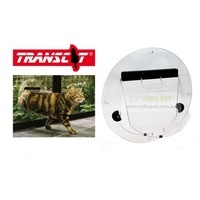 Requires the exact same size cut-out as the Transcat doors, so no need to re-cut your glass if you are looking to replace your broken Transcat door!